The facts of history unfolding in front of our eyes, include also the current military posturing in the “Chess Game” for world dominion. With the end of this 5775 (2016) 7 Year Shmittah Week of Years cycle, are we willing to testify in the courts in heaven what we saw and perceived to be one of the most massive military buildups of aerial and naval presence in the Middle East by the Top 4 Imperialist nations of the world; America, Europe, Russia and China in seventy years. Then are we willing to testify in the courts in heaven, that we did perceive that evil was an illusion, created by the Archangel Sam’ael, and that a new divine reality was unfolding in front of our eyes? Soon there will be the inauguration of the New Torah of Higher Consciousness by the G-d of Israel. This will also inaugurate Metatron, the Meta-archangel known as the “Angel of the Divine Presence” as “King Messiah” (Melekh HaMaschiach). The first thing we must ask, who is in control of our Universe? Are our lives a series of coincidences or do we have the “emuna” faith in El Shaddai” the Almighty One of Israel that He and He alone has the Sovereign power to fulfill or to terminate as He chooses to be. If we sit back and look at the incredible changes of War and cycles of war, we have to conceive that either HaShem, the G-d of Israel has lost sovereign control over Planet Earth, or that we are today, the participants of a greater universal struggle; the struggle between the powers of darkness under the satanic influence of Sama’el against the forces of light. At this time Michael, the guardian Archangel of the Jews and Israel will be fighting for the survival of the State of Israel, along with Metatron, the Meta-Archangel who was the Commander of the L-rd’s hosts at the time of Joshua and the Battle of Jericho. Yet this was also the Angel of the Burning Bush who gave Moses his “military commanding orders” to direct the Great Exodus of the Hebrew Israelites who was also known also as the “ Angel before the Face or the Divine Presence of G-d. From the writings of the sages of Judah, Metatron will become the future King Messiah (Melekh HaMaschiach). To begin to understand how the G-d of Israel rules the universe, we must first understand and conceded that all source of life comes from the Throne of G-d known as the Keter, and ends at the Malkuth, called the Shekinah. This is where 4-dimensional life touches 3-dimensional life. Eventually the gate-way to Gan Eden (restored Garden of Eden) will soon to come down to Planet Earth. At this time, the heavenly Gan Eden will reach down and touch its earthly counterpart on the very spot where the future Shekinah will soon dwell over the Foundation Stone on the Temple Mount. We must also understand that there is a far greater reality created during the “Seven Primordial Days of Creation” These include a hundred billion galaxies, that encompass a hundred billion suns and encompass also a billion, trillion infinite spiritual worlds, universes and dimensions of the Light of the Ain Sof, the One-G-d of Israel. The most amazing fact is that this transition zone called redemption and restoration of Klal Yisrael (the sum total of “All 12-Tribed Israel”). It could come as early as the next 12 months during this Jubilee Year of 5777. This cosmic event is big, very big, for our way of life and thinking is about over. Our collective way of thinking on Planet Earth will translated into a new responsibility of consciousness, for we are the “Final Generation” on the edge of space, time, and history. Destination Yisrael – “Let us now relook at the Sefirot of the One G-d of Israel, for it is there where the primary channels of divine energy and power flows down from King of the Universe or the (Keter) Crown of the Divine Sefirot of G-d. Yes, the Crown is where the Ain Sof, the One G-d of Israel reigns. G-d’s unlimited energy emanations flow through Hokhmah (Wisdom) and Binah (Understanding) and from there like a cascade or an energy vortex it flows down “through” the Tiferet, called Beauty. Through this vortex of divine emanations is the funnel where the creation of the four universes flows through the “Central Pole of Grace” to the Yesod, the “Foundation of the Divine Sefirot of G-d” and below to sin-contaminated Planet Earth, where the spiritual dimensions of reality cannot today normally be perceived. At the bottom of the Sefirot of the World of the Divine is the Malkhut called “Kingdom”. Does this sound familiar – “The Kingdom of G-d?” This is the revelation of the Almighty as He manifests Himself in the created worlds and universes below. Is it not time that we begin to accept that as humans, we do not control our destiny? This is the Providence of the One G-d of Israel, called the Ain Sof, the Keter (Crown) of the Sefirot of the Divine. As the Jewish year of 5775 (2015) was preparing to end, the seconds before the blowing of the Shofar on the eve of Rosh Hashanah, September 14, 2015, it immediately showed that this was to be a special year. This was the beginning of the 8th year, a Year of Jubilee, just after the 7th Shmittah Week of Years. Just as expected, at this time, at the first moments of time in the 8th year, the cry of the Shofar of war spread across the land of Israel blowing loud and clear. Already the largest militaries of the world were marshalling their forces to surround the tiny State of Israel. Within this year in 2016, during and after the Jubilee year of 5776, the 70 archetypical nations of the world appear to be preparing an international or global war in which no one will be excluded. At this time, within the next 12 months, the world as we know it may end as the Universal Messianic Age of 4th Dimensional Consciousness arrives as the sounds of the Great Shofar will rise again in expectation of the soon to be revealed Maschiach (Messiah). This was documented in the Destination Yisrael blog, titled, “Metatron, the Angel of the Divine Presence who will become Melekh HaMaschiach (King Messiah)”. Of course this revealing of the Maschiach (Messiah) as noted above was written by the Sages of Judah over the past two thousand years concerning this event in their far and distant future. This “second rabbinic witness” was the famed Jewish Rabbi Judah ben Samuel who wrote just before his death on the Jubilee year of 1217, that the “Jubilee Prophecy gives the Year of the Messiah”, when the Era of the Messiah will be inaugurated in the Jewish Year of 5777 (2017). With this in mind let us now turn our attention to what was going on in the geo-political scene around the world in the weeks just ahead as the 7th Sabbatical week of years during the 2008-2015 Shmittah cycle was set to end on Rosh Hashanah 2015. On September 4, 2015, ten days before Rosh Hashanah as the Jewish people were making preparations for the Fall Harvest Festival of the High Jewish Holidays, the largest submarine in the world, the Dmitri Donskoy (TK-208), NATO-coded Typhoon, set sail towards the Mediterranean Sea. Its destination was the Russian Mediterranean Sea-base port at Tartus on the Northern Syria coastline. Was this a coincidence? 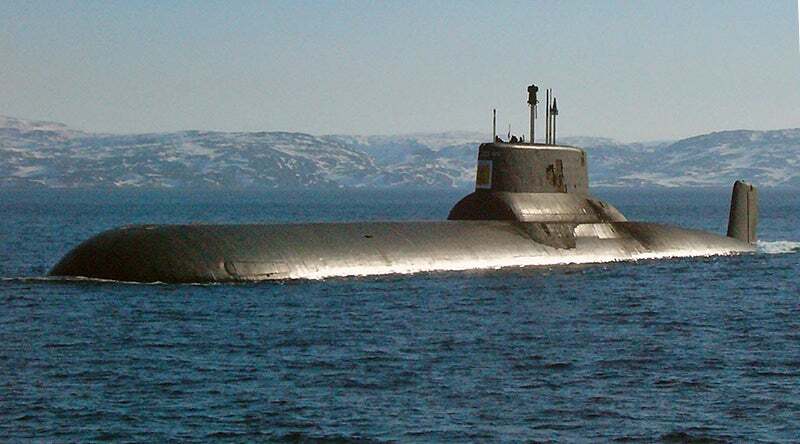 Upon this Russian submarine were 20 Bulava (NATO-code SS-N-30) intercontinental ballistic missiles (IBM) along with up to 200 nuclear warheads. Any one of these nuclear weapons could destroy the State of Israel at the signature of Vladimir Putin. Each IBM carried warheads with a missile range of 10,000 km of which each warhead carries 6-10 MIRV nuclear warheads. The Dmitri Donskoy (TK-208) was escorted by two anti-sub warfare ships prepared to bolster the rapid military escalation in Syria by the Russian military deployment of Russian troops in Syria. We must ask; “Was it a coincidence that the United Nations on this certain year of 2015 was celebrating its 70th anniversary and the 70th year that the United Nations has been the antagonist and adversary of the State of Israel? Was it a coincidence that the United Nations has been celebrating American, Christian, Buddhist, Muslim holidays and Persian holidays yet up to this date would not celebrate any Jewish holidays? Did the G-d of Israel choose at this one moment of time that the United Nations on their 70th anniversary would celebrate the Jewish Festival of Yom Kippur during this august era of human historical time? Did anyone consider that this might be the last year of the United Nations for with many prophetic considerations, within twelve months, the “Era of Messianic Enlightenment” may be consuming the whole world with a “higher dimensional realm of messianic consciousness” when the Jewish Melekh HaMaschiach (King Messiah) comes to rule Planet Earth? Pondering this question, on the eve of Yom Kippur in the Jubilee Year of 5776, are we as participants and observers from the Lost Ten Tribes of the House of Israel now poised to become partners, lost “brothers and sisters” of the “Neshama Yehudi” (Jewish souls) and now sharing our “Neshama Israeli” (Lost Israelite souls) as we participate and join as the “major actors” in the Grand Finale of the Drama of the Ages. While Russia was putting “boots on the ground” in the battlefields of Syria, the Jews in Israel and the Diaspora plus the Evangelical Christians in America and Europe visiting in Israel were participating in person or in spirit the High Holidays of the Jewish people during Rosh Hashanah and Yom Kippur. Was it a coincidence that the Finger of the Divine One of Israel stated that “enough was enough” and it was time for the United Nations, the global organization for the 70 archetypical nations on earth to honor the Jewish Tashlich ceremony and Yom Kippur. For the first time in the 70 year history of the United Nations, the Permanent Mission of Israel hosted with the Forum for Cultural Diplomacy, was permitted to celebrate the first traditional Jewish Tashlich ceremony on the day before Yom Kippur. This traditional Jewish Tashlich ceremony took place at the United Nations Rose Garden overlooking Turtle Bay on the East River. Here the international delegates to the UN threw out breadcrumbs into the river symbolizing the act of casting away your sins in the water. 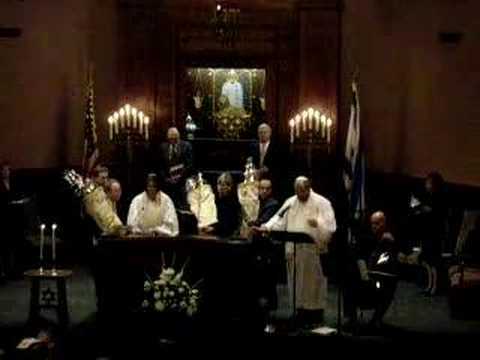 The service was conducted by Senior Rabbi Arthur Schneier from Manhattan’s Part East Synagogue. At the same time as the UN delegates and Jews from around the world were purging themselves and casting away their sins and wrongful doings, the Iranian Shi’ite forces were arriving from the east in Baghdad, along with the Hezbollah Shi’ite forces, arriving from the north as the latest of the military prowess of naval and aerial forces from China and Russia were arriving from the Mediterranean in the west. They were poised to potentially wrap up the little State of Israel like a cocoon and leave her immobilized. Up to this year, the United Nations recognized 10 official holidays, including Christmas, Good Friday, and Islam's Eid al-Fitr and Eid al-Adha. It also recognizes Buddhist holidays and the Persian New Year, but official recognition had not been extended to any Jewish holiday until this year at Yom Kippur. According to debkafile’s military sources, on September 21, 2015, as the UN delegation was performing the Jewish Tashlich Ceremony just hours before the eve of Yom Kippur, on September 23, 2015, the Chinese aircraft carrier, CV-16, Liaoning, was exiting from the passage through the Suez Canal and was heading to the Russian Seaport in Syria along the Mediterranean Sea just north of Israel to rendezvous with the Russian Sub, Dmitri Donskoy (TK-208), NATO-coded Typhoon at the Syrian port of Tartus. Was this also a coincidence? If there were not enough military and political posturing by the major nations on Planet Earth, was it a coincidence that the recent epic visit by the Jesuit Pope Francis to American came just as the Jews were worshipping the G-d of Israel in the most sacred holiday of the Jewish year, Yom Kippur? Throngs of tens of millions of Americans paraded through the cities of Washington, New York and Philadelphia to welcome the one now called “The People’s Pope”. It turned out to be an extravaganza of immense proportions to the Global Roman Catholic Church. It would become a harbinger to the Jews and Christian Israelites on Planet Earth fulfilled by the earlier Tetrad of Blood moons that occurred on Jewish Spring and Fall Harvest Festivals in the years of 2014 and 2015. What will be revealed in our future awaits to unfold for the Masonic Jesuits have been the instigators of all of Planet Earth’s global wars since the Masonic American War of Independence on April 19, 1775 to September 3, 1783, and the French Revolution between 1789-1799. These include also the more modern wars of World War I, World War II, the BushGog’s War against Terror between 2001 and 2008 and no doubt the future prophetic Armageddon or the Gog-Magog War that may be unfolding today in front of our eyes. These facts of history were revealed in the BibleSearchers Reflections article, titled, “The Sabbatean Jews and their affect on Global Politics” and the article, titled, “The Final Days of the Labor Zionist State of Israel as the Messiah calls the Lost Tribes of Israel to come Home.” This same rule continues with the Jesuits in the Vatican P2 Masonic Lodge and the British, Scottish Freemasonry Lodges located around the world. While the Jewish people were worshiping in their synagogues, each as an individual in the presence of the Divine, they were returning individually in repentance (teshuva) back to their allegiance to G-d, as the Creator of the Universe. Was it remarkable, or was it an affront to the Holy Torah of Judaism that Pope Francis chose to arrive in the capital of the United States, the largest homeland of the Lost Ten Tribes of the House of Israel to challenge the Jews on Yom Kippur that they cannot return back to G-d in repentance except through a human mediator called a priest. Was it a coincidence that the Pontiff of Rome arrived in Washington on the eve of Yom Kippur, after the Jewish “Ten days of Awe” when daily every Jew prays in teshuva (“return”). This act requires only three ingredients: regret of misdeed, decision to change, and verbal expression of one’s sins. According to the sages of Judah, on these 10 days the gates of the multi-dimensional heavens are open more than any other time in the cyclical Jewish year. Their prayers and repentance of each individual is accessible to the Holy One of Israel. Instead of prayer and repentance on Yom Kippur, Pope Francis was the guest of honor to the only President of the United States who has sought to turn America into an Islamic Sharia Law nation, and is now aligning the White House agenda to that of the Vatican. On this same evening before Yom Kippur, millions of Jews were in their synagogues listening in rapture to the solemn and haunting prayers to HaShem during the Kol Nidre (Aramaic translated as “All Vows”) service on the eve of the “Day of Judgment”. This was only a foretaste of our global future when in the final judgment, symbolized by Yom Kippur, the final dispensation of justice is rained is down upon all the nations of the earth. Listening attentively at the service, the male Jews that flocked to their synagogues were dressed in white kittels, a thin, laced robes that symbolized purity and majesty. They also wore their prayer shawls (tallitot), the only time in the year during the evening prayer service that a tallit is worn and a blessing is recited. Kol Nidre is an Aramaic phrase which means far more than its literal translation, “All Vows.” This haunting statement of annulment of vows has become a dominant part of the Jewish religious psyche in that today it is commonly used to designate the entire Yom Kippur evening service. Its melody so haunting that hearing the first few bars sends shivers down the spine. It reminded each one in the sanctuary that their internal spiritual clock has been reset and that the hour for repentance had begun. It was only twenty four hours after a secret summit in Moscow between Russian President Vladimir Putin and Israeli Prime Minister Binyamin Netanyahu two days before Rosh Hashanah, when the symbol of the rising might and power of the Chinese government moved into the Mediterranean Sea. The Chinese aircraft carrier, CV-16, Liaoning, headed to dock nearby in Syria, also at the Syrian naval base at Tartus. During the intense dialogue between the two, KGB trained Vladimir Putin who now proclaims that he is the savior of the Christians in the Middle East, did not issue a word about the passage of the Chinese aircraft carrier as it entered the eastern Mediterranean and neither did he leak its point of destination. The question to ask, did the intelligence services of America and Israel miss this debut or did the White House intelligence fail to notify the Israeli Prime Minister of the potential ominous turn of events along the western Mediterranean shoreline of Israel? Whose hand is directing the affairs of the nations of the world? In the surprise sleight of diplomatic hands, the State of Israel was now surrounded by its enemies to the north of Israel, Hezbollah, the new global dimensions to Moscow and Tehran’s military support for Assad to the east in Syria and the Russian and China’s military support for Syria’s Bashar Assad were now preparing for war while docked along the Mediterranean Sea to the west-northwest of Israel. In times of great tribulation, why does G-d then appear to be so hidden and not available for HIs children in the land of Israel? According to the Sages of Judah, the Almighty One of Israel hides Himself so that that we will search for Him. When He calls us with the "still small voice" HaShem remains hidden so that we can still preserve our "power of choice" but when we call upon Him, He will answer! So today, any remnant of support by President Barak Hussein Obama for the Netanyahu government in Jerusalem had already been vanquished when Prime Minister Netanyahu’s rousing speech to the Congress of the United States on March 3, 2015 went global two days ahead of the Jewish festival of Purim. At this time, Prime Minister Benjamin Netanyahu tried to compel the Joint Session of the Congress of the United States not to vote for the signing of the nuclear peace agreement with Iran. This too was not a coincidence, for El Shaddai, the Almighty One of Israel will be there for His chosen people when the time comes.